ZURICH — In an unprecedented move, FIFA officials decided yesterday to postpone the 2010 FIFA World Cup soccer tournament until 2011, in order to give David Beckham’s torn Achilles’ tendon time to heal so that he could play in the tournament. However, many in the world are speculating that the severity of Beckham’s injury will mean the end of his playing career. 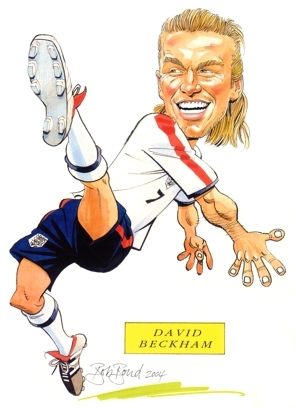 Others disagree with Stoke-on-Trent’s prediction, noting that FIFA is not the only organization that stands to benefit from Beckham’s appearance. The English national squad recently negotiated a deal to make David Beckham Underwear the team’s exclusive supplier of athletic support garments, and the team would lose millions if they stopped carrying the David Beckham jock. In related news, FIFA officials announced Tuesday that their creative team is busy re-conceptualizing the FIFA 2010 World Cup mascot, Zakumi.